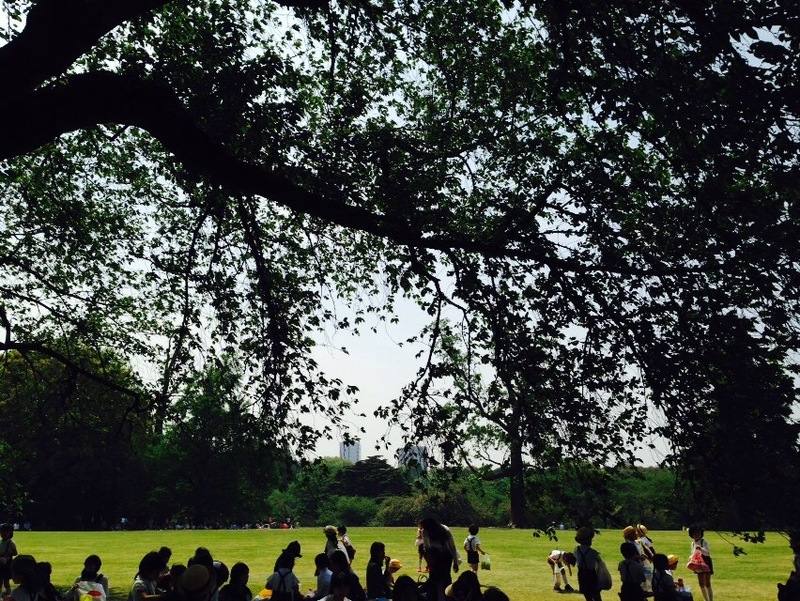 We went to the English Garden in Shinjuku Gyoen for school excursion. 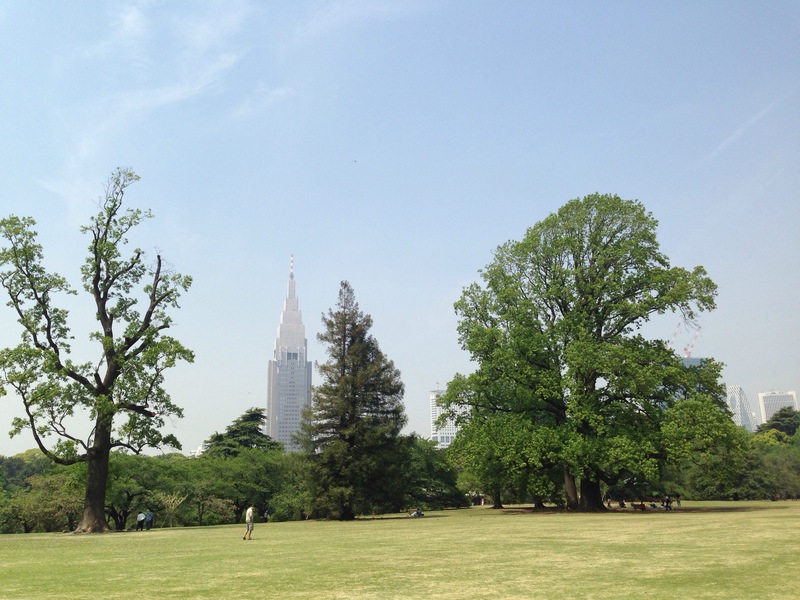 Behind the park, there are skyscrapers in Shinjuku. 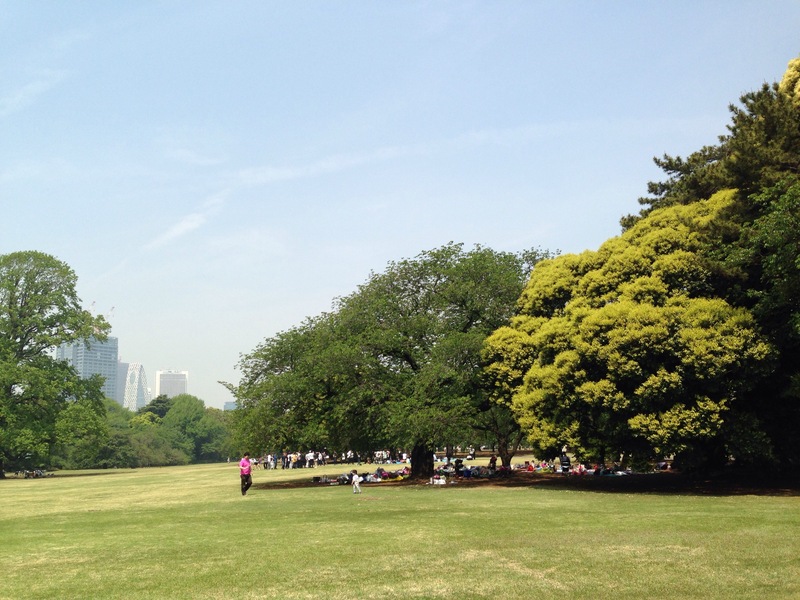 This used to be a golf course for the Imperial family before opening to public. 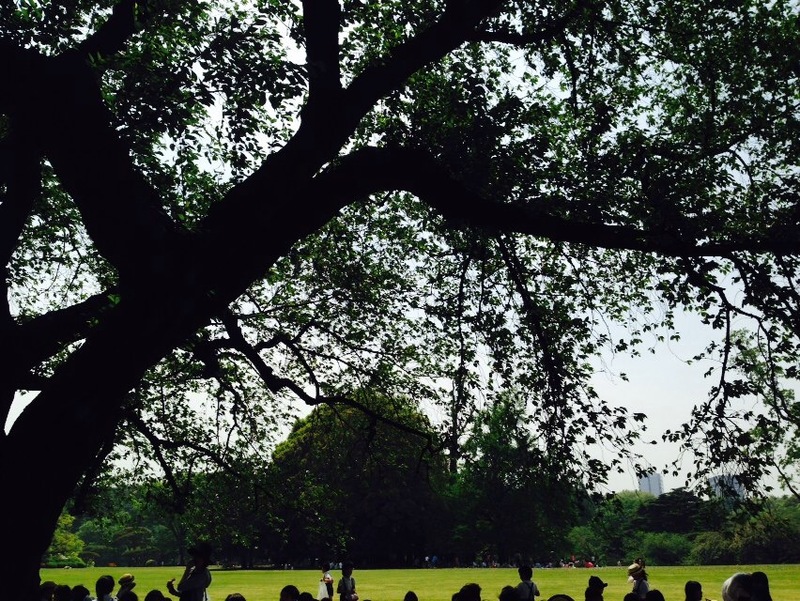 The admission is 200 yen for adult, and the park is very spacious and clean. We may go back for picnic in private.